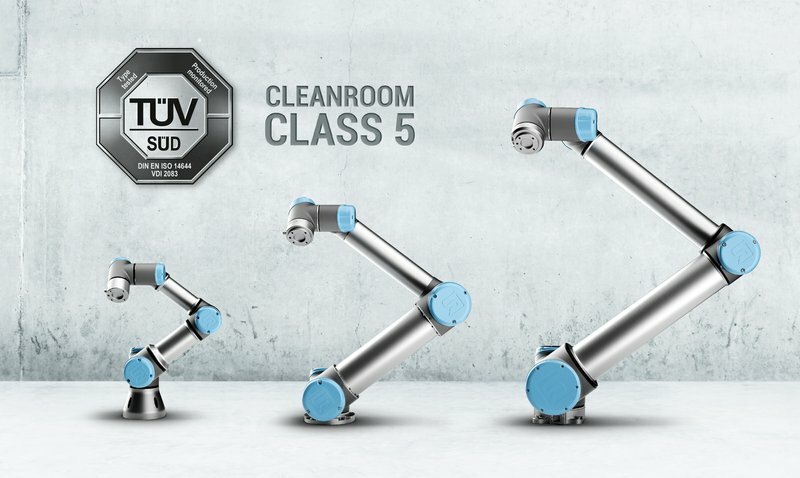 September 23, 2016, from Universal Robots: Collaborative robots now certified for applications in cleanroom environments. Universal Robots’ lightweight collaborative robot arms can now be implemented in controlled environments: After successful tests in accordance with VDI 2083 Part 9.1, the international industrial guideline concerning the various functions and measures of cleanroom technologies, the robot arms and the accompanying controller boxes made by the Danish pioneer in human-robot collaboration have been awarded the certification for cleanroom applications by the international certification organization TÜV SÜD In compliance with the industrial norm ISO 14644-1, the robots UR3, UR5 and UR10 are now authorized for the global use in cleanroom environments of the cleanroom class ISO 5. The controller box, in turn, has received authorization for cleanroom class ISO 6. The controller box may be upgraded for deployment in cleanrooms requiring the class ISO 5 with a few technical modifications. In the Federal Standard 209E, often referenced in the USA, ISO 5 and ISO 6 are the equivalent of class 100 and class 1000, respectively. 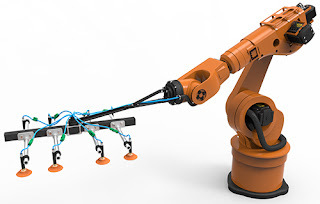 TÜV SÜD’s test seals for Universal Robots’ robotic arms and controller boxes now allow the deployment of UR robots in areas where aspects regarding purity and hygiene – such as particle emission, easy-to-clean surfaces and extreme reliability – are decisive criteria for precise automation processes. “UR robots can now increasingly be deployed in laboratory automation as well as throughout the medical and pharmaceutical sectors. There is also a significant variety of cleanroom applications in the food industry, the production of microchips and semiconductors as well as in the electrical and opto-electronical industries that can now implement our robots”, says Østergaard. 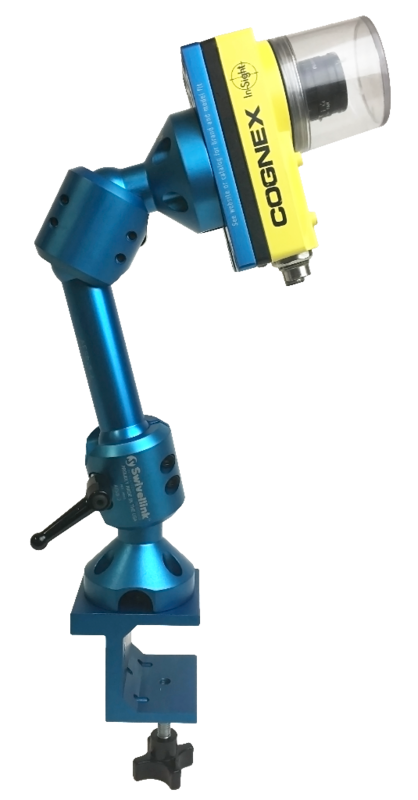 Get more info about Universal Robots from FPE Automation. Piab is proud to introduce piINLINE®plus and piSTAMP vacuum generators with brand new technology for the market. Presenting ultra-lightweight decentralized vacuum generators with integrated release mechanisms in minimized packages. The decentralized vacuum ejectors are developed for automotive press-shop automation but other industries and applications, where decentralized vacuum is preferred, will also see amazing benefits. The piINLINE®plus is a configurable product family. Among other nice features, it contains a patented feature, it is the first true inline (compressed air – vacuum) ejector with integrated automatic release function. piSTAMP has a generic design to facilitate retrofits of other units in automotive press shops. Inline design with compressed air port(s) and vacuum port in-line, suitable to put directly on the hose close to point of suctions. Made of lightweight and extra durable PA66 material (stronger than used in standard piINLINE®). Quick fit push-in connectors for compressed air and vacuum. Different diameters available in both metric and imperial dimensions. Select from 1 or 2 MICRO Ti05-2 COAX® cartridges with low air consumption, good suction capacity and fast evacuation. Two cartridges are recommended for suction cups ≥Ø35mm[1.38"] in high speed applications. Select 1 cartridge for smaller suction cups or to reduce air consumption by 50% if cycle speed is not critical. o AQR (Atmospheric Quick-Release) – a membrane opens when compressed air to ejector nozzles is not present allowing a massive amount of air to enter the cup for a quick release, without adding compressed air. It is simple to control and a second compressed air hose is not needed. o EBR (Exhaust Block-Release) - a function based on blocking the exhaust air with a membrane controlled by pilot compressed air. Main supply air is forced down to suction cup, giving a very fast release function. For pilot air it is possible to select from different diameters of quick-connectors, push-in style. Optional port for sensing the vacuum level, metric or imperial. Will be plugged if not selected. 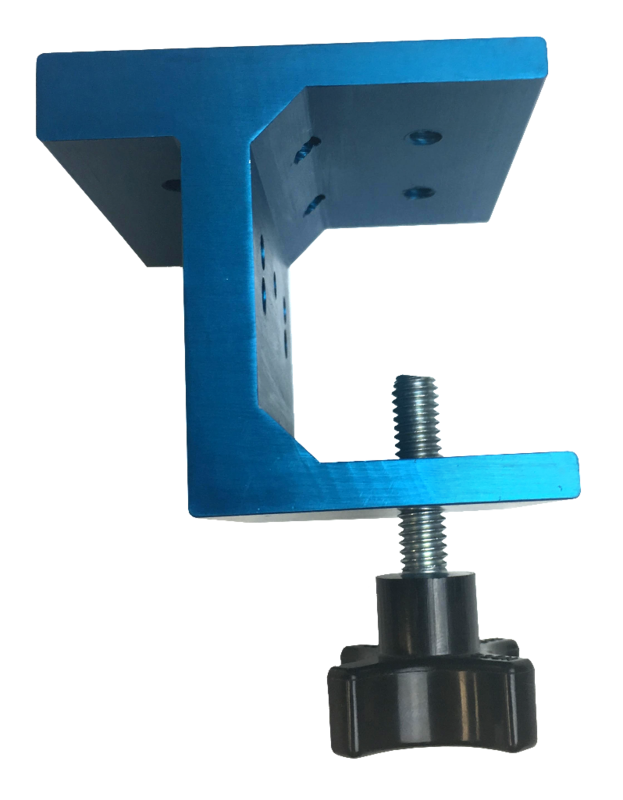 Optional suction cup holder with a design suitable for automotive press shop automation tooling systems. Industry standard lock-pin connector or ball-joint connector available to select with left-hand or right-hand orientation of mount. When a suction cup holder is selected, a short piece of vacuum hose will be supplied that will suit the vacuum port of the selected vacuum generator. Different thread style option on holder for cup interface. Male and female G3/8” or imperial 3/8 (NPT). 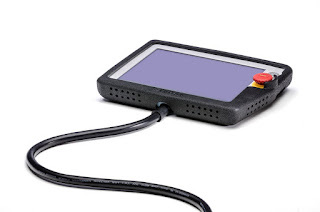 Fully decentralized design with compressed air ports (feed and pilot) from the side and vacuum port under (similar to VGS™), Will fit generic suction cup holders found in automotive press shop tooling (ex. Springer, Bilsing etc.). Design and mounting interface that has a perfect match to Schmalz SEAC10 unit for press shops. Quick fit push-in connectors for compressed air. Different diameters available. 2 MICRO Ti05-2 COAX® cartridges with low air consumption, good suction capacity and fast evacuation. Integrated release function EBR (Exhaust block release) – a function based on blocking the exhaust air with a membrane controlled by pilot compressed air. Main supply air is forced down to suction cup, giving a very fast release function. For pilot air, select from different diameters of quick-connectors, push-in style. O-ring sealed vacuum port (non-threaded). FPE Automation’s St. Louis sales team leader, Andy Button​ was named MAC Valves Most Dynamic Networker at the 2016 MDN international sales meeting. Every fall, MAC Valves​, a premier American manufacturer of valves in the field of industrial automation, hosts a global distributor meeting at the Marriott Lincolnshire Resort Hotel outside Chicago. At the event, recognition is given to top performers. The MAC Valves Most Dynamic Networker is the one of the prestigious of those awards. For his efforts assisting other salespeople and distributors around the world to be successful, Andy Button was given a Rolex watch. 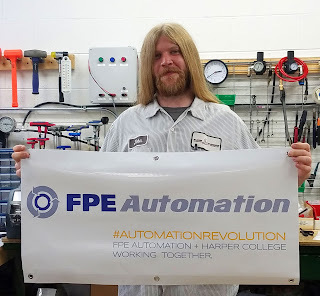 FPE Automation​ would like to join MAC Valves in congratulating Andy. It is the fourth time an individual from FPE has received this honor since MAC Valves began the tradition in 2002. Previous winners from FPE include Dan McCullough, Scott Nielsen and David Bardos. How do you scale from 1 to 10 robots in an efficient way? Once you've set up your first robot, got used to it and realized the benefits of a robotic cell in your shop, what's next? An excellent, well-thought-out e-book by Robotiq. Not lengthy, just a good read for anyone who is thinking about using collaborative robots, and a must-read for anyone who has already purchased one. The e-book covers several important angles, like ROI and also safety and production bottlenecks. 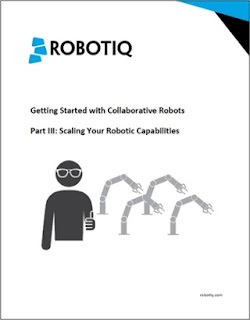 This eBook will take you step-by-step to show you how you can use your first robot experience to scale your robotic capabilities. You will learn how to gather the right information and how to implement properly the right robotic application. Teach Pendant. Teach Pendant not included. Manufactured from Santoprene™ rubber, this one-piece bumper provides excellent protection for the UR teach pendant if accidentally dropped from heights of up to 1.5m. Santoprene™ is immune to water, most water-based cleaning agents, and features excellent resistance to most industrial lubricants, coolants and cutting fluids. The bumper is custom-molded to the teach pendant’s exterior shell, and features a “stretch-to-fit” installation (akin to a cell phone bumper). No glues or adhesives are required to hold the bumper in place. Easily installed/removed. The bumpered pendant hangs from the UR controller with ample clearance to the rear. Protective ridges are molded around rotary switches and e-stop buttons but do not interfere with their operation. Access to the USB connection (on the right side of the pendant) is also preserved. Each bumper is textured to maintain positive grip/feel in wet conditions or in the presence of lubricants/coolants. The energy-absorbing frame is perforated throughout the grip areas for weight-savings and to reduce surface tension/accumulation of fluids. You asked and we responded! Swivellink® now has the perfect solution to mount Swivellink® arms for a quick & easy setup. 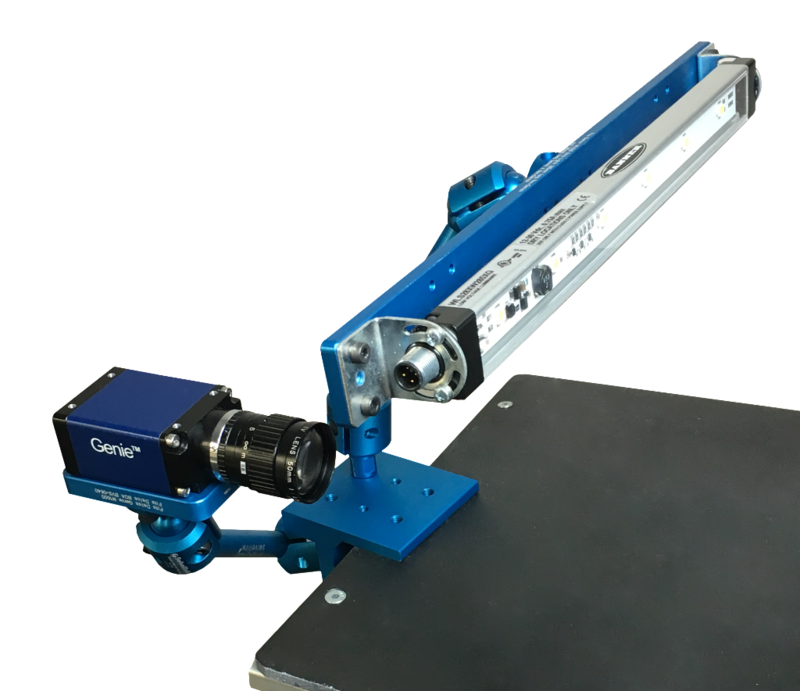 With our new Clamp Base you can show off two different Swivellink® arms at once. So the next time you need to mount Swivellink® to a bench, desk, or table - you now have the perfect fit! This new product is great for shows, test labs, engineering, customer visits, and quick demonstration. Always think Swivellink® when it comes to your mounting needs. 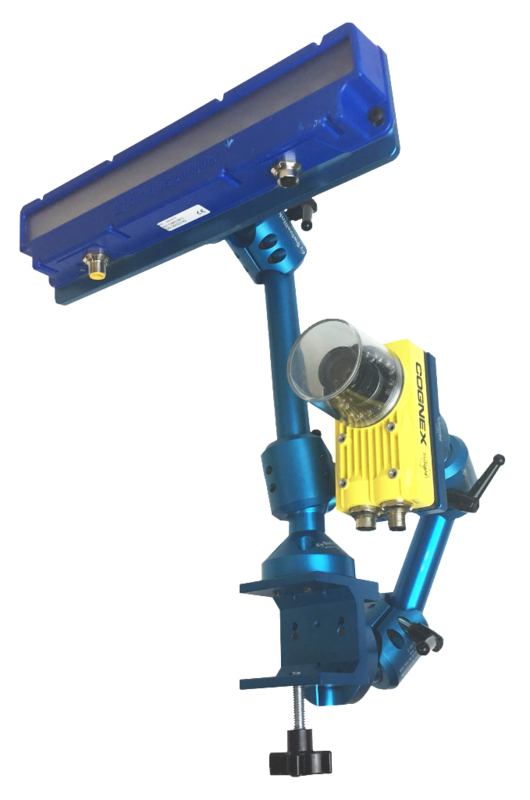 FPE Automation and Swivellink have an upcoming online event! 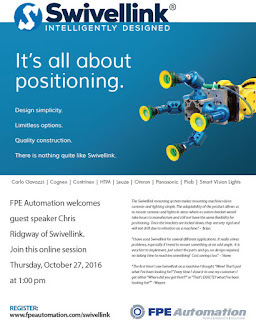 Swivellink's Chris Ridgway joins us Thursday, October 27, 2016 at 1:00 pm. Details here. FPE Automation's John Pearson juggles a very full schedule. He works full time at FPE, and in the evenings, he's also a student at Harper College. While in class, John noticed that the lab could use some PLCs, so he approached FPE's Dave Bardos, President and Lori Wolff, Vice President. FPE's ownership is extremely supportive of education and committed to FPE Automation's involvement in the community. John persuaded Dave to attend an open house at the college and meet his professor. That made such a positive impression that Dave agreed to donate several Omron PLCs. Those PLCs will help train hundreds of engineers. That will give them the technical expertise to excel in the modern workplace, cementing the our country's place in the #automationrevolution and our global competitiveness. Doing that, in turn, will help keep jobs here on American soil. Jobs that these future grads will eventually hold. All put into motion by one perceptive individual. Are we surprised? Not at all. It's part of the culture here at FPE. Everyone gets involved. Are we impressed? Definitely! Way to go, John!!! 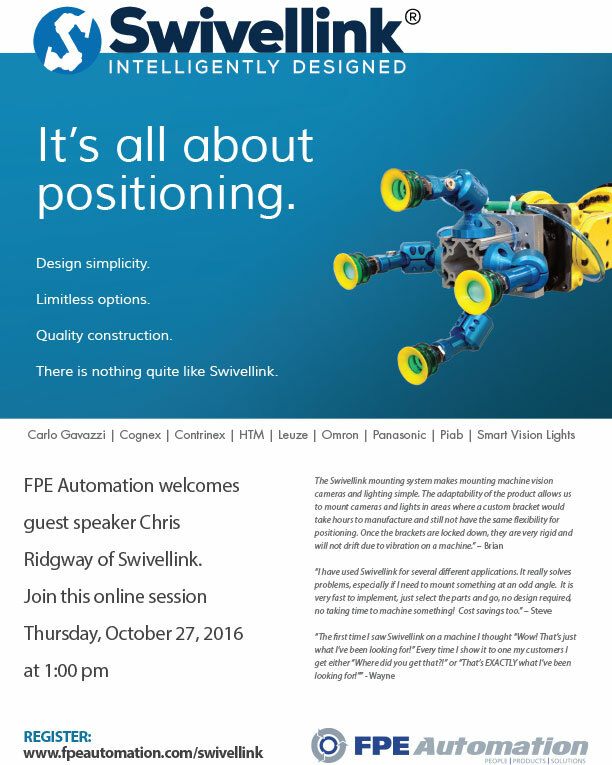 FPE Automation welcomes guest speaker Chris Ridgway of Swivellink. There is nothing quite like Swivellink. Piab launches a new series of food contact cups. The need for direct food contact cups is growing. Automation is moving upstream in food plants to increase productivity and quality. Piab noticed increasing requests from existing customers in the food industry for suction cups suitable for use when the cups are coming into contact with food. Piab is introducing a new series of food contact cups suitable for direct picking of everything from chocolate pralines to fish sticks. Comprising a total of 13 cups, the series is designed with funnel shaped bellows and very thin lips for excellent grip on irregular food surfaces. A stable body and large vacuum flow orifice will guarantee a steady hold on products, even at high speed and in quickly accelerating systems. Designed to meet the most stringent hygiene standards, Piab’s food contact cups have no pockets in which dust or dirt can collect, and are made of food contact materials that comply with FDA and EU 1935 regulations. 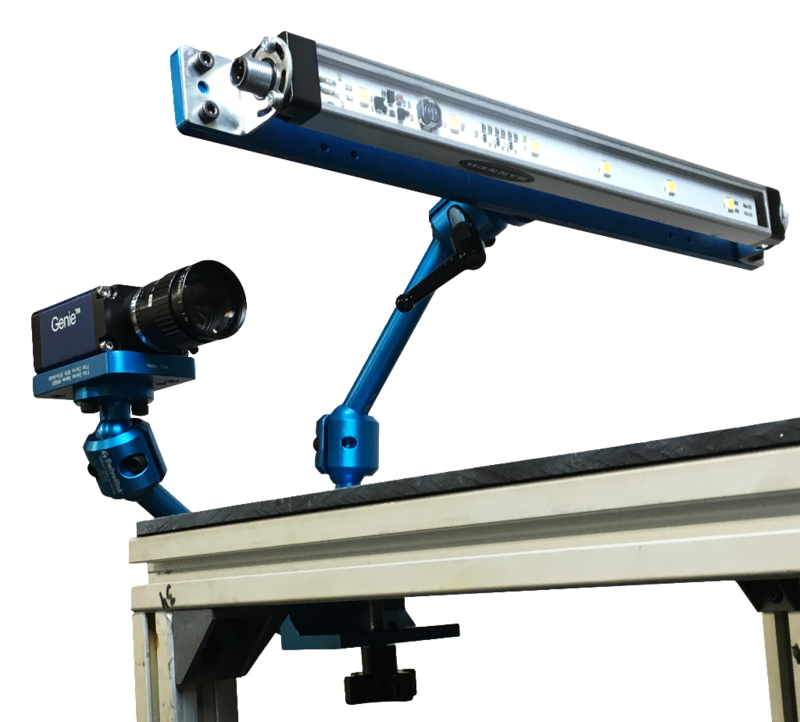 Cups and fittings also comply with metal detectors available on the market and their blue color suits the visual inspection systems used in the food industry. The complete cup range is available in blue, detectable, food approved silicone, with oval cups also available in transparent, non-detectable, food contact silicone. The oval shaped cups have been specifically designed to provide the best possible solution for small oblong flow or doy packs. “Only a low vacuum level is needed to collapse the bellows on the cups. This is important as a high vacuum can compromise or even completely ruin delicate food products. The low vacuum level is also ideal for side channel blowers,” comments Josef Karbassi, Vice President of Piab’s Automation Division. 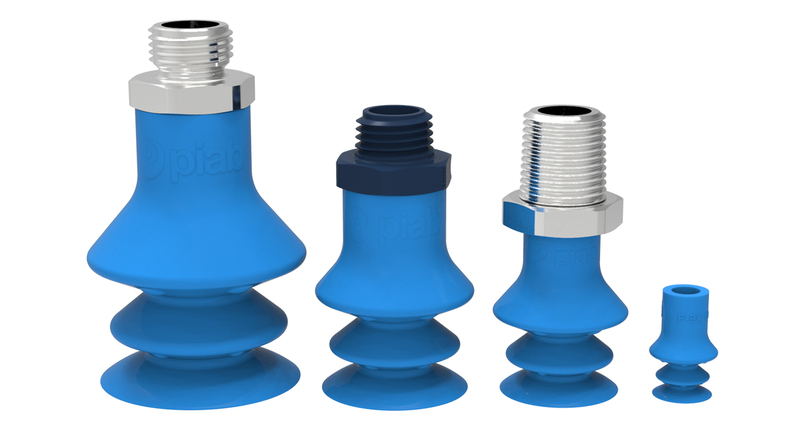 All cups are available with stainless steel (316L) fittings, and all except for the oval cups are also available with a blue plastic, detectable, food grade fitting. In some models, the fittings are made up of two easily separated parts. For maximum hygiene, male threads are used throughout, making the fittings very easy to clean. Several different options are available for each size. Cups designed for bread and bakery products (B-BL) can also be mounted with a retainer when used in bread de-panning systems. Made in a blue colored, detectable, food contact material, the retainers are available in three different sizes, using the same interface.